My latest piece is titled “Museling,” made specifically for my friend Julie Drout’s annual “MORPH” exhibition held in the 840 Gallery of DAAP. 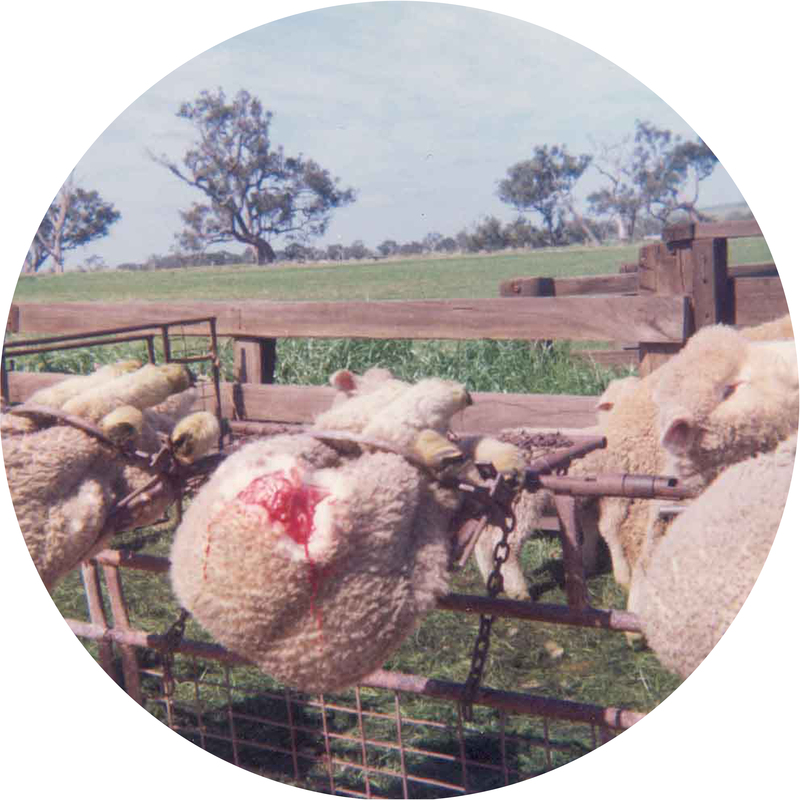 Documented in the form of a lenticular, “mulesing” is a painful and arguably ineffective practice used in the wool industry that involves removing strips of wool-bearing skin from the backside of sheep in order to prevent flystrike. 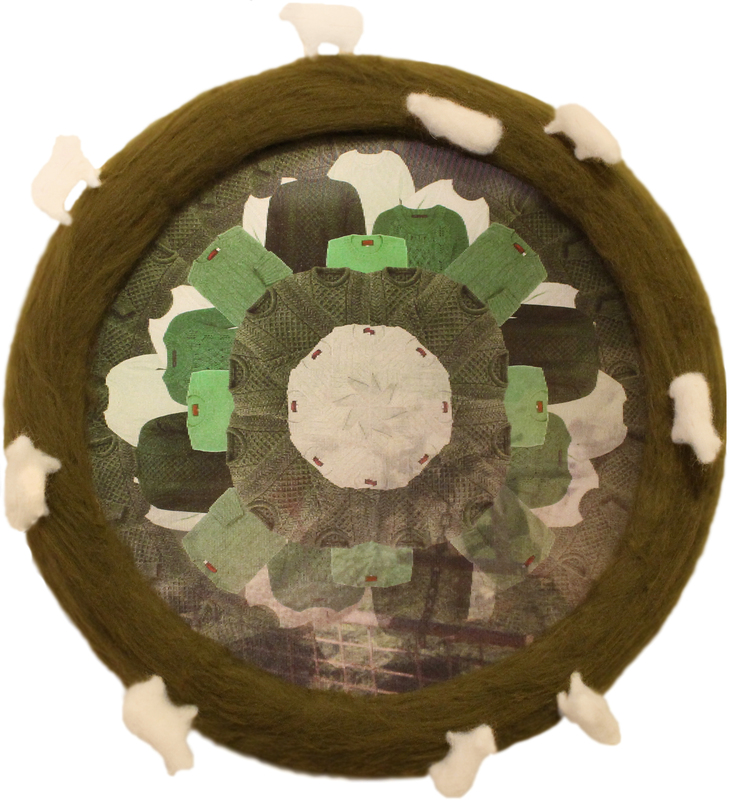 Framing this imagery is a more ideal landscape – a needle-felted scene whose wool is sourced from local Cincinnati sheep. 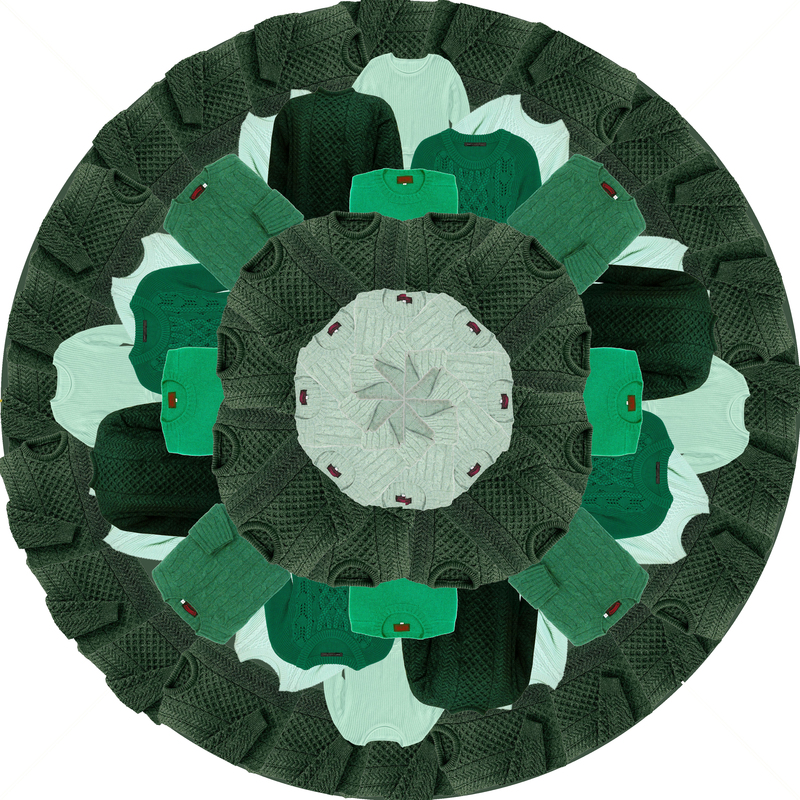 The mandala of sweaters morphs literally with the image of mulesing and metaphorically with the state of each material’s permanence/impermanence. The opening reception for “MORPH” will be held from 6:00-9:00 pm in the 840 Gallery of DAAP on Monday, April 27th.